After you sign up for JetConnect, you will be taken to the Home screen. Under Software at the left, select Downloads. Get the latest version here. 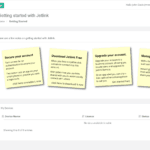 Launch the setup program and follow the prompts. You’ll be prompted to install Flight Deck Server, Glass, and JetLink. It’s best to take the default option where Flight Deck runs as a service. After installation, you will have a red Logitek JetLink icon on your desktop. Double-click the icon to launch the program. The first time you run the program, you’ll need to Activate. This should launch a window to log into JetConnect from JetLink. 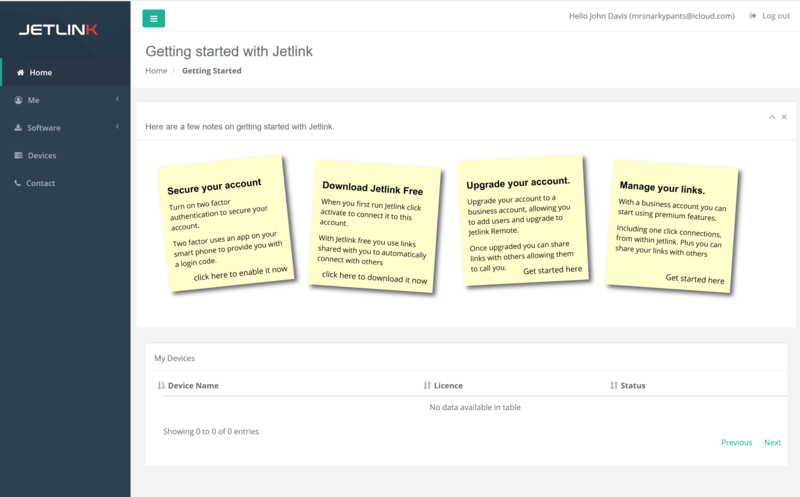 We’re activating everyone as JetLink Studio right now. The other options are Basic and Web. If you pick Basic, you disable the ability to choose what to receive from the directory. For now, Studio is free to use, so if you take the default you’ll be all set. Repeat on the next machine. Under JetLink Devices you will see a list of machines in your account. Click on a device and it will be filled into the “Connect To” box. Under “Connect via” choose the network card you wish to use. Drag the slider under playback buffer to match the type of internet connection you are using on this computer. Under Audio Output, click to drop down a list of available sound card outputs and pick the sound card/channel of the output device. If you are using JetLink Free and entering the IP address manually, you will need to set up port forwarding for UDP port 5006 on your router on each end. If you have licensed JetLink as Remote, JetConnect does the firewall transversal for you.